Mercy Hospital in Cassville held their annual food drive. Each year, the staff at the hospital hold a food drive to benefit the Cassville Food Pantry at the United Methodist Church. They exceeded their goal of 700 pounds by one pound. Additionally, the hospital donated $150 to the pantry. 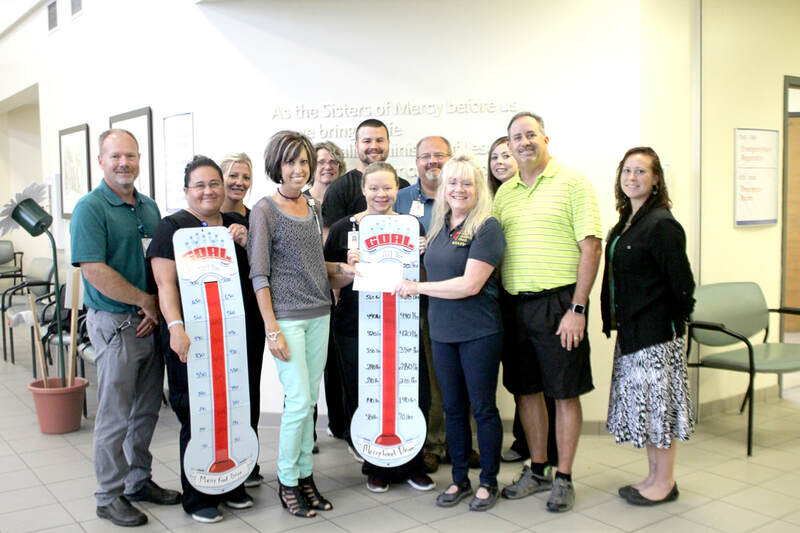 Pictured above, from left to right: Jesse Durossette, supervisor EVS/security; Jessica Quick, RN; Becky Myers, RN; Emily Jackson, executive assistant; Pam Rupp, RN; Tyler Wallace, exercise physiologist; Tanja Ray, RN; John Banks, manager plant operations; Janet Mills, United Methodist Church food pantry director; Bethany Schoon, mammography technologist; Andy Lambel, United Methodist Church minister; and Katherine Setzer, registered medical assistant.